An interesting, Turkish Proverb reads “Coffee should be black as hell, strong as death, and as sweet as love”. This Turkish proverb states how some people feel about this beloved beverage. Today, coffee is one of the world’s most popular beverages. Some of the places that grow coffee include South America, Asia, the Caribbean, Indonesia and Africa. Coffee brands such as Maxwell House, Folgers and Starbucks are known throughout the globe. Coffee has been around longer than many medicinal plants and has spread farther and wider than most. We know that coffee is common in places like restaurants, workplaces, and kitchens with hundreds of millions of people consuming it every day. In the last centuries, most people in the Western world have switched from consuming a cup of tea to having a cup of coffee. The coffee plant belongs to the Rubiaca family. Common names include Java, Joe, Cova, Cabi or Cafe. The first Westerner to describe coffee in his literary works was a German physician named Leonhardt Rauwolf. During his travels through the Middle East, he noted the use of many spices including coffee. These comments sparked an interest with many Europeans, who often looked to the East for exotic items such as spices, silks and other items. Legends of coffee are numerous through folklore literature. One interesting story comes from Turkey, which states that the inability of a man to give his wife enough coffee is considered means for divorce. Another legend states that African warriors would mash up coffee berries and eat them before battles. Many fishermen would wash the smell of fish from their hands by using coffee as well. Besides being consumed as a beverage, coffee also has many medicinal benefits. These include being used as a diuretic to promote the flow of urine, as an antipyretic to help reduce fever, and as a stimulant for bowel movements. It may also provide relief for migraine headaches, gout, and spasmodic conditions including cough, bronchitis, hiccups and asthma. 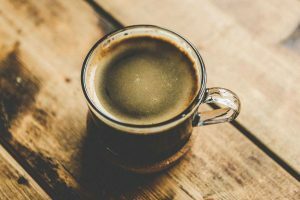 Other numerous conditions to use coffee as a therapeutic include depression, fatigue, mental acuity, hangover, nausea, slow digestion, weight loss stimulation and vertigo. It is also valued for its antioxidant properties. In closing, I would like to quote what a famous composer said about coffee…“Far beyond all other pleasures, rarer than jewels or treasures, sweeter than grapes from the vine. Yes! Greatest of pleasures. Coffee, coffee, how I love its flavor, and if you would win my favor. Yes! Let me have coffee, let me have my coffee strong.” – Johann Sebastian Bach.